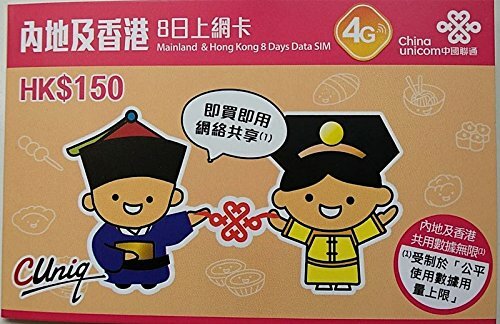 4G LTE China & HK 8 Days 2GB Unlimited Data SIM+馨午茗茶sun moon lake black tea1 by ChooseTop at All Company Mobiles. Hurry! Limited time offer. Offer valid only while supplies last. Facebook, Twitter, Google is available in china via using this SIM card. Facebook, Twitter, Google is available in china via using this SIM card. Facebook, Twitter, Google is available in china via using this SIM card. 2GB mobile data is valid for 8 days.Please activate the sim by 30/03/2019. 2GB Mainland China and Hong Kong shared data. Actual connection speed can vary due to factors. Once your data usage reaches 2GB,your data speed will be restricted to not less than 128kbps and the network will not support tethering and peer-to-peer service. Once insert into the mobile device,the SIM card will be activated. You can activate the SIM in Hong Kong and Mainland China. Please retain the outer part of the SIM card for recharge and enquiry. For checking data usage and validity period, please log in http://service.cugstore.com/ and fill in your 11-digit phone number/19-digit SIM card number and PUK. This SIM card is valid for 8 days (2GB data) from the date of activation. If you have any questions about this product by ChooseTop, contact us by completing and submitting the form below. If you are looking for a specif part number, please include it with your message.